Hexanucleotide repeats in the C9ORF72 gene, which cause both frontotemporal dementia and amyotrophic lateral sclerosis, spew a fusillade of potentially toxic molecules into the cell: two kinds of repetitive RNA from transcription in the sense and antisense directions, plus five different repeat dipeptides encoded by those messages. One of the biggest research questions in the field these days is, which of those biomolecules are dangerous? In the September 23 Neuron, investigators zero in on sense-direction repeat RNAs that assemble foci in the nucleus, but their fly model—carefully mimicking transcription of the repeats in humans—survived without a phenotype. “We conclude that sense nuclear RNA foci are not a major source of toxicity,” said senior author Fen-Biao Gao of the University of Massachusetts Medical School in Worcester. He added that it remains possible that antisense nuclear RNAs, or non-aggregated repeat RNAs, might be responsible for some element of neurodegeneration. Researchers have determined the C9ORF72 dipeptides are indeed toxic in research models, though they have not confirmed that the dipeptides are the key killer molecules in people (see Dec 2014 news; Aug 2014 news). Others have suggested the RNAs might be the key troublemakers (see May 2015 news; Oct 2013 news). Like many scientists in the field, Gao and first author Helene Tran started designing their model organism as soon as the C9ORF72 gene was pegged as a risk factor, before the antisense RNAs or atypical translation were known (see Sep 2011 news). First, study co-author Sandra Almeida used neurons differentiated from induced pluripotent cells of C9ORF72 carriers to confirm that the repeats did not affect splicing events around them. 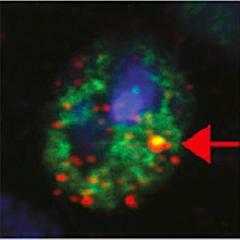 The excess hexanucleotides were transcribed, then cut out and abandoned in the nucleus. To mimic that process as closely as possible in flies, Tran engineered a minigene with 160 repeats flanked by the human intronic sequences and exons that occur on either side of the expansion in people. “This is the first model with repeats expressed, in the molecular context similar to that in human patients,” Gao said. Tran expressed the minigene at high levels in the neurons and glia of fruit flies. She and Gao were initially disappointed. Their flies were fine, despite the 40 or so repeat RNA foci accumulated in the nuclei of their neurons and glia (see image above). No such foci occurred in control flies with zero or five repeats. Tran typically saw one large focus surrounded by smaller ones. The big spot co-localized with RNA polymerase, suggesting it was the site of the minigene’s transcription. 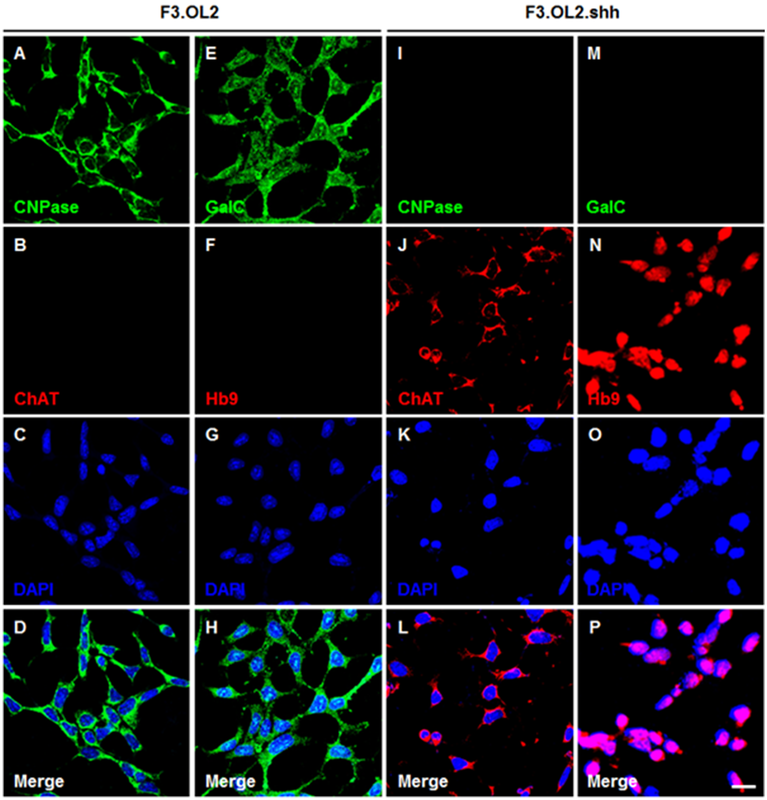 Gao advised other scientists studying C9ORF72 that the large focus in animal models like his results from overexpression of the transgene, while the smaller spots correspond to the foci seen in human tissues. Tran then managed to induce toxic effects in her 160-repeat fly model by keeping the flies at a warmer temperature, 29 degrees Celsius instead of 25. In that balmy environment, several flies died a bit prematurely, with populations reaching the 50-percent survival mark five days earlier than wild-type flies. However, the RNA foci themselves did not seem to cause this increased mortality; their numbers remained the same between the two ambient temperatures. Instead, the warmed-up flies started making dipeptides. The authors measured four times the amount of poly-glycine-proline in the toasty flies as in their cooler counterparts. To confirm their suspicion that dipeptides, not RNA foci, were toxic to flies, Tran turned to a Drosophila model engineered by Adrian Isaacs and colleagues at University College London (seeAug 2014 news story). These contain 36 repeats that differ from Tran’s in their context. Instead of putting the hexanucleotides in an intronic milieu, the researchers hooked them directly to the code for a poly-adenosine tail, which stabilizes mRNA and points it toward the cytosol for translation. Thus, these flies contain cytosolic repeats instead of nuclear ones. Expressing Isaacs’ repeat construct all over the fly was lethal, but by expressing it in the eye only, Tran confirmed that it was toxic, and generated repeat dipeptides. “I think we can now firmly say that the current generation of repeat fly models cause toxicity through dipeptide repeats,” commented Isaacs, who was not involved in the new paper (see full comment below). Gao suggested that the repeat RNAs cause problems if they leak out into the cytosol and get translated. This, he speculated, might happen in older individuals. However, Gao and other researchers who spoke with Alzforum were not ready to fully retire the idea of toxic RNAs in favor of toxic dipeptides. “We cannot conclude from studies performed in Drosophila that RNA foci play no role in human disease,” Isaacs noted. As a point against killer dipeptides, Christopher Donnelly of the University of Pittsburgh, who did not participate in the Neuron paper, pointed out that two recent studies found little evidence that dipeptide aggregates correlate with pathology in the brain or in motor neurons (Mackenzie et al., 2015; Gomez-Deza et al., 2015). Donnelly suspects improper transport of intronic repeat RNA from the nucleus to the cytosol might be an issue. “The export seems to be a major problem,” he said. Donnelly theorized that as people age, defects in splicing might allow the repeat-containing intron to escape. It could cause problems in the cytosol or at the nucleocytoplasmic pore, which papers by Donnelly, Gao, and others recently implicated as a major site of C9ORF72 toxicity (see Aug 2015 news story). Donnelly added that the new work provides a reminder to scientists designing or selecting a model animal. Tran’s fly full of repeats was fine, while Isaacs’ died, all due to the particularities of each construct. A third group, who examined intronic repeats in primary mouse neurons, saw no translation into dipeptide repeats but nonetheless observed increased cell death (Wen et al., 2014). However, they used an artificial intron and exons from green fluorescent protein, rather than directly from the C9ORF72 gene. “We have to be very careful in what models we choose, understanding the details and caveats of each system,” Donnelly said. Tran H, Almeida S, Moore J, Gendron TF, Chalasani U, Lu Y, Du X, Nickerson JA, Petrucelli L, Weng Z, Gao FB. Differential Toxicity of Nuclear RNA Foci versus Dipeptide Repeat Proteins in a Drosophila Model of C9ORF72 FTD/ALS. Neuron. 2015 Sep 23;87(6):1207-1214. [ PubMed].